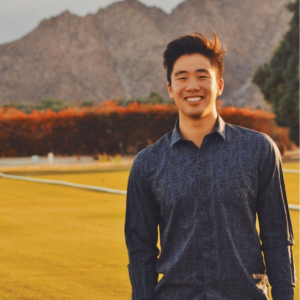 The Sure Oak team is pleased to announce Darren Chow as the winner of The 2018 Sure Oak Scholarship for $1,000. Darren, who attends the University of California Berkeley, was selected from a pool of almost 400 candidates. Candidates had to craft and submit an essay detailing how their university will put them on track to achieving their goals. Darren wrote an inspiring essay detailing why he selected UC Berkeley when selecting his next step for education. In his essay, Darren highlighted the support and encouragement of his parents when it came to his education. When the time came to select a university, Darren looked for a school that would help him grow academically while supporting his desire for social awareness. Darren is currently attending UC Berkeley as a double major in business and English. When asked about my goals for the future, I am transported back to dreary Saturday mornings when—after speeding through our homework—either my brother or I would practice piano with Ma while the other would do fractions with Pa, until the afternoon when we would be finally set free. Oh, how happy we were to be released! As children, our parents used to sit with us every weeknight to make sure we did our homework, guiding us through the minefields of multiplication tables and verb conjugation. In hindsight, I appreciate all that they did for us, and I wish I had appreciated it more then. Their attention and commitment to our education were responsible for most, if not all, of our successes. Despite long hours and difficult work lives, they were always there for us—always ready to take us to swim meets, piano lessons, and chess tournaments, always willing to share with us libraries, monuments, and museums. They encouraged us to pursue our passions and embrace failure as a prerequisite for success. What they could not provide us materially, they made up for in support. We are rich beyond measure. At times, not financially so, but in love and compassion—we want for nothing. I think of dreams as a continuum. Coming to America as first-generation immigrants, my parents each worked three jobs through college to survive. Their dream was for us, their children, to achieve more than they ever had the opportunity to, and that we would be better able to provide for our families. My dream builds off of theirs: I want to live a noble, meaningful life that allows me to provide for my family; however, I also want to create value and meaning for the world around me, to engender purpose and fulfillment in all that I do. This is why I work hard for my education, and, indeed, why I’m writing this scholarship essay right now. The “water” all around us is the unconscious life we subject ourselves to. Most aren’t aware that we have a choice in deciding how we choose to see the world. Wallace posits that the true value of one’s education is the freedom to choose what has meaning and what doesn’t: “It is about the real value of a real education, which has almost nothing to do with knowledge, and everything to do with simple awareness.” Our education kindles within us the choice—”the awareness”—to see the world differently, and to envision a better world for posterity. I hope to gain the awareness to think critically and parse together how I could change the world for the better. My goal is to create meaning and purpose for those around me, and Wallace showed me a perspective that I carry not only to persevere through my learning, but also to thrive. of how lucky we are: that we have the chance to pursue our education, our self-refinement, and our empowerment, many are not so fortunate. Education is a powerful, and undervalued, gift; I hope to never take mine for granted. So, when deciding what university I wanted to attend, I aspired to find a community steeped in this awareness, in this noble pursuit of knowledge and its sharing. I chose the University of California, Berkeley because of its reputation as one of the forefront campuses for change and innovation. So many leaps and bounds in academia were made here: the beginning of the Sierra Club, the discovery of an expanding universe, the widespread treatment for Malaria, etc. As one of the premier research institutes in the world, I wanted to be surrounded by academics, and students, who are intimately aware of our social responsibility to improve and aid the world around us. But UC Berkeley exhibits its character not only through its academic drive but also its social activism. I’m proud to attend a school that played a central role in the Free Speech Movement during the 1960s and continues to inspire action among its students. People joke that rarely is there not a protest happening on Berkeley’s campus; I can hardly disagree. Yet, I don’t think that’s nearly as bad an occurrence as one may think. The original Free Speech Movement was waged over the right to advocate political causes on campus. In our modern-day political, and social, atmosphere—irrespective of political affiliation—freedom of speech and freedom of expression have never been more important. Earnestness and passion, I believe, drive the world. I see my fellow peers caring and fighting for what they believe is right, and I couldn’t be more proud of my school for its values and legacy. I close my eyes and try to imagine myself in five years. All I see is a fuzzy outline of who I could be. I could be in law school exploring the means whereby I can advocate for real, tangible change. I could be at the head of a non-profit helping empower the lives of those less fortunate than I. I could be a writer and publish books that bring joy and inspire action. Whether in law school, at a non-profit, or as a writer, all I know is that it will be a life centered around giving back to the world and living for others. In the meantime, I will continue to work hard: I will complete my double major in Business and English while eagerly learning and growing in the process. I will continue to involve myself with organizations that share my personal mission statement of giving back to the world around me. Organizations such as the U.S. Green Chamber of Commerce, where I currently do environmental sustainability research, and JusticeCorps, where I will help litigants who can’t afford lawyers navigate civil cases. I will continue to work two jobs—one as a Resident Assistant, and the other as a Financial Peer Advisor—to help lessen the financial burden on my family. I will continue to pursue my passion for writing and continue working on my first novel. I know the future will be difficult and fraught with hardship, but I do not worry. I see the people and ideas that I fight for and know that I will endure. I will endure so that someday I can give back to a world that has given me so much in turn.